Women today are bombarded with many different messages about empowerment, sexuality, relationships and health. Most often, we feel confused about what it truly means to be in our Feminine power. We receive mixed messages about being strong in our Masculine yet vulnerable in our Feminine. This leaves most women feeling confused about what real strength and balance is and how to maintain it when life intensifies. We work out of Melbourne, Sydney, Byron and Gold Coast, and occasionally are called to run events in Asia and London. We are always excited to hear about the life changing processes you are going through and listen to your ideas about running similar events, where you live. Please feel free to send us any questions on this event. 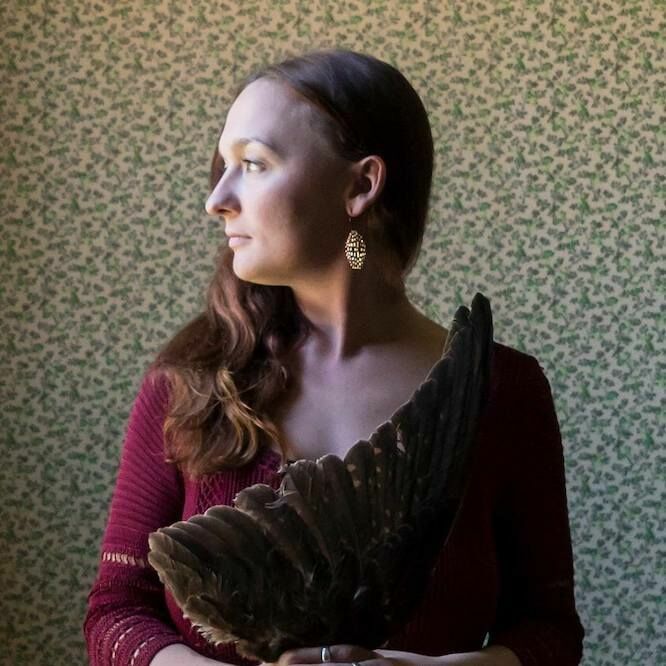 Caitlin is an old soul in a young woman’s body, who has been guided, over the past five years, to a variety of different healing modalities, initiations and space holding roles. Caitlin followed the path of the ‘wounded healer’, on a mission to heal her innermost demons and depression. Ultimately it was her quest to heal the painful parts of herself that led her to many unique places and people all across the world. Caitlin has apprenticed with Sharon for three years in her energy work, space holding and ritual shamanic work; along with serving for many other noted practitioners in this field. She has been in a space holding role for many different types of ceremony and ritual and is a very focused on expanding the consciousness and healing of humanity. Caitlin has been a facilitator of Cacao ceremony for four years, and has lived deeply with this medicine in Guatemala, learning with the local Cacao Healer for six months. She runs her own holistic food medicine catering, which focuses upon vibrational food medicine and postpartum support for women. Caitlin’s wish is to see the feminine balance restored upon this planet and sensuality to be reignited, for women to come into a deep and empowered respect of self and for the harmony of the planet to be rebalanced and remembered. This program is for you to discover and develop a deep connection with your body, your inner masculine and feminine, and your spirit. The Empress (Feminine) & The Dragon (Masculine) enables us to marry our inner dualities to give birth to a more Sovereign, Unified and Divine version of Ourselves - a self who is clear on her purpose, connected to her passion, and stable in her love, truth & power, in her interactions with herself and others. The Empress & The Dragon is an Empowerment and Elemental Programme that combines Magical Taoist practices with Meso American ritual magick and spirit work. This program will take you on a journey of working with your own energy, archetypes and magick. We will work with Rites of Passage, Ritual and Sensory practices, incorporating Elemental practices, Aromatherapy, Herbal essences, Alchemy, Nutrition and the Energy Centres/Cauldrons (Dan Tiens). We will be working with specific crystal yoni eggs to amplify your inner journey and outer experiences (the egg will not be used during the workshop, it is for your home practice). The programmes will run over a series of 'treatments', designed to take you deeply into your own womb and its complex matrix of unravelling - cleansing you energetically - reflecting itself into your life and your daily interactions and choices and allowing you to be reborn in your perfect balance of Sovereignty. Each journey is unique, just like your own internal blossoming flower. The Empress & The Dragon aims to assist you with getting to know your Authentic self, and all parts of you, in a contained and held safe space. The Empress & The Dragon is a comprehensive and immersive experience to delve deeper into the ancient womb wisdom, assisting us to release trauma and old energies held within our sacred womb space. This will help women to return to a sacred inner balance that will inspire wholeness and clarity with your purpose. The Empress & the Dragon is for women who are ready to be raw in their vulnerability, be naked in their truth, and be strong in their power. This is an initiation into your Feminine Lineage, the Empress within you, and Magick. Metaphysical female anatomy – what is your body telling you? On the first weekend we are working with the Obsidian Yoni Egg and Alchemy Pack. We will work deeply with the medicine of the Obsidian and focus on self-healing, awakening, feminine healing, magick, clearing and letting go of the past. Obsidian is a crystal that ignites the mirror within, the shadow that needs redefining and the traumas that call for healing. If you choose to embark upon this journey with Obsidian, you are trusting an inner knowing that you are ready to look deep within at the hidden aspects of yourself, calling to be recovered, remembered and reconciled. Parts 2 and 3 incur an additional cost and will be revealed to participants. Sharon is a skilled, grounded, intuitive, and multidisciplinary therapist who specialises in facilitating body, mind, and spirit connection. Sharon's qualifications include training as an Accredited and practicing Kinesiologist, Clinical Hypnotherapist, Hypnoenergetics Practitioner, Past life Regression, NLP Practitioner, Holistic Healer, Health Consultant, Energy Coach, and Core Shamanism Guide. Sharon is also a trained Chi Kung instructor, which involved her studying the Korean branch of this mind-body energetic arts system for seven years. During her training in this discipline - which also involved living with Korean energy masters for two years - she was a practicing Taoist Monk, and ran an Energy Training Centre in London which boasted over 200 members. As a wounded healer, herself, Sharon is a spiritual midwife, and helps people ‘birth’ their True Authentic Selves. Sharon also enables people to work with their inner shadow, using techniques that are both deeply healing and transformational in nature. In addition to all of this, her unique ability to work with plant spirits in other dimensions allows for new frequencies to come through in ceremonial settings, providing deeper insights and awakenings.